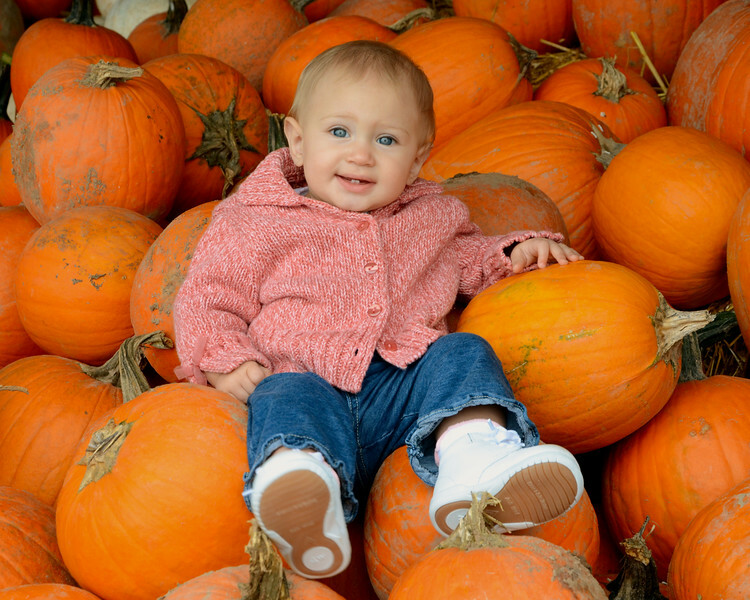 Cute shot, she looks like she's not too sure she like being among the pumpkins. Fabulous shot of her! What a doll baby and your light here is perfect! Great shot!!! Brought a smile to my face...thanks!! !